Queen headboard hook on rail set for beds without a footboard. This frame keeps heavy headboards much less shaky. No nuts, bolts or drilling. This frame closes in to grip the box spring snugly, takes most of the shakes out of the headboard by keeping it firmly on the floor where it belongs and provides rigid center support for the mattress set. Will work for split queen box springs also. Queen size headboard hook-on rail set. 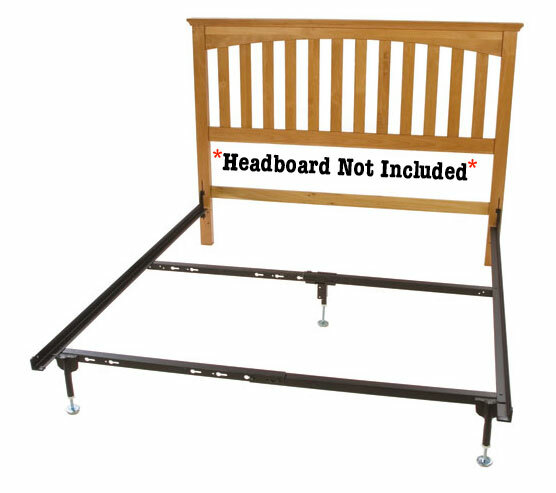 Keeps headboard from moving.